What is the Weather in Benidorm usually? All the information of “The Weather in Benidorm”: forecast of temperature, waves, wind, dawn, dusk and sea water temperature. The meteorological data are collected by a station of the AEMET, located in the municipal area, and by stations belonging to the City of Benidorm. 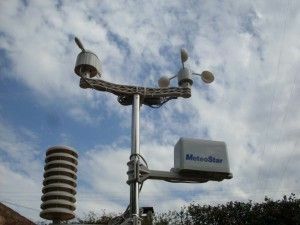 More real data than other municipalities, which usually obtain the results of nearby meteorological stations located at strategic points such as airports. The best information to plan your vacation before leaving on a trip. Check the information well to make the most of the days in the city. Although the weather in Benidorm is exceptional and we usually have more than 300 sunny days a year thanks to the orography that gives us a unique microclimate in the Mediterranean, do not let a rainy day spoil your day at the Aqualandia water park or your day of the beach From reception we offer you alternatives for any weather, because Benidorm is full of possibilities. Benidorm is a Mediterranean city, with a unique microclimate. Its orography means that we can have a temperature difference of up to 3º between the time of Benidorm and the time of Altea, a town near Benidorm. Being surrounded by Sierra Helada, Sierra Cortina and Sierra Bernia is protected from certain weather phenomena, which give it more than 300 days a year of sunshine and a pleasant temperature. 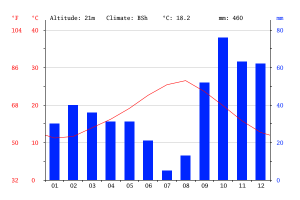 We can observe the historical series of climatic data of the time of Benidorm. ¿WHEN DOES IT BECOME COLDER IN BENIDORM?? The weather in Benidorm is colder, 11.2 ° C average in January. The thermal sensation may be higher due to humidity in the environment. People usually take a couple of days to acclimate.